Featuring the latest Max Air innovation, the Nike Air VaporMax Flyknit 2 Random brings fresh design elements with a random print that is put together from the reused Nike Flyknit from our previous Vapormax Flyknit 2s. The futuristic sole completes the package, for a shoe that's as ready for your run as it is for an elevated look. 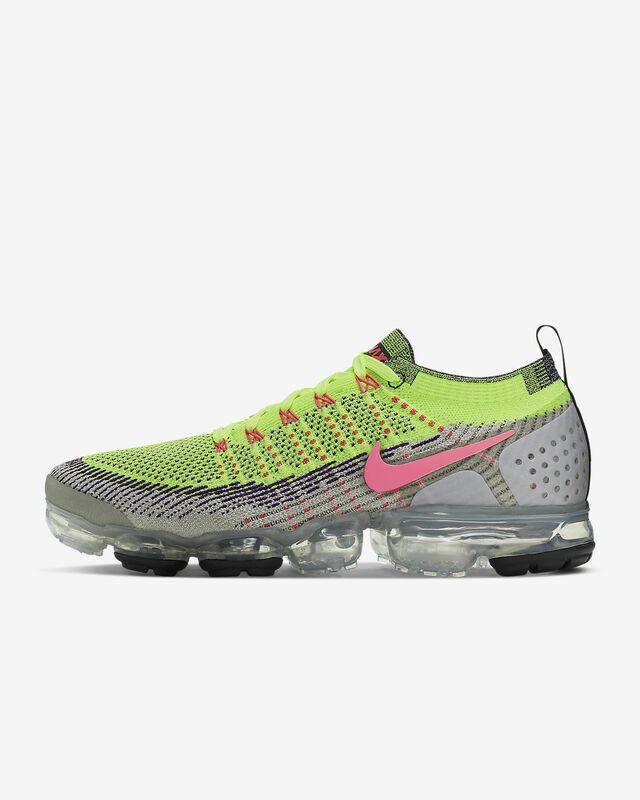 To further minimize waste and create a one-of-a-kind shoe for each customer, this product may not look like the product featured in image as each Vapormax Flyknit 2 Random is designed with uniquely selected Flyknit material. Featuring the latest Max Air innovation, the Nike Air VaporMax Flyknit 2 Random brings fresh design elements with a random print that is put together from the reused Nike Flyknit from our previous Vapormax Flyknit 2s. The futuristic sole completes the package, for a shoe that&apos;s as ready for your run as it is for an elevated look. 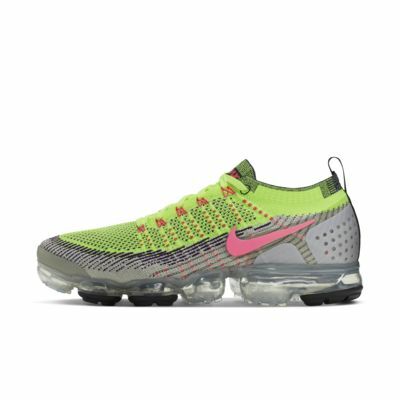 To further minimize waste and create a one-of-a-kind shoe for each customer, this product may not look like the product featured in image as each Vapormax Flyknit 2 Random is designed with uniquely selected Flyknit material. Max Air cushioning provides an incredible feel from toe to heel. Flyknit fabric conforms to the natural shape of your foot for a snug, sock-like feel. Flywire cables work with the laces to provide more support as you tighten them. Heel overlay gives you more support and a secure feel. After the 7-year journey from ideation to release, the Air VaporMax represents a new era in Nike innovation. To truly capture the feeling of "running on air,” the designers restructured the Air unit to be attached directly to the upper. As you step down, each lug gets pushed into the Air unit, ramping up the pressure. Then, as you step off, the pressure releases creating springy bounce with superior flexibility. Made for runners, the futuristic technology was quickly adopted by the street, bringing this light-as-air feeling to the masses. Have your say. Be the first to review the Nike Air VaporMax Flyknit 2 Random.